I usually eat oatmeal for breakfast in the mornings because I am sleepy and lazy at seven o’clock in the morning. It’s easier to dump a packet of oats in a bowl, add water and microwave it than to prepare an omelet or scrambled eggs. However, the protein in eggs is good for me and keeps me fuller longer, so I sometimes make peanut butter crepes on the weekends. They’re pretty quick too, though I have to clean more bowls, beaters and skillets later. I grabbed this recipe from Erin Shea’s site, Lose the Buddha over a year ago, though she calls them peanut butter pancakes. I prefer to call them crepes since it sounds more egg-like. I’m sure someone will tell me why it’s absolutely erroneous for me to be calling them crepes, but I don’t care, they’ll always be crepes to me. I also doubled the recipe because I am tall and hungry. Combine ingredients in a blender or with a mixer in a bowl. Lightly coat a skillet with spray-on oil and heat on high. 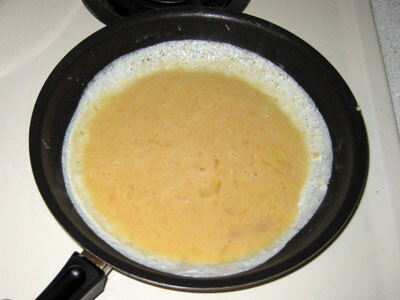 Pour half the mixture onto the skillet, swirling the pan around to coat the entire skillet in the egg mixture. Once the mixture is starting to thicken, flip it over and cook the other side. Remove from pan. Repeat for the rest of the mixture. Enjoy! First, I separate the egg whites. Four years ago this seemed insanely difficult, but now I do it with ease. I used to feel bad about dropping the egg yolks down the garbage disposal, but I got over it, especially when I realized the egg whites have less calories and more protein than the yolks. Next I dump in the Splenda (or in this case, the generic Kroger brand with identical packaging, Apriva) and peanut butter and mix the whole concoction with my hand mixer. As I’m mixing, I’m also heating up the skillet which I’ve sprayed with oil. I pour half the mixture into the pan and let it cook a while. 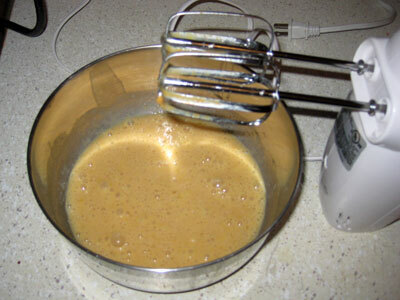 I swirl the pan around to cook more of the batter around the edges, then wait for it to firm up a bit. Next comes the tricky part. I have to flip the crepe, but it’s still pretty runny on top. 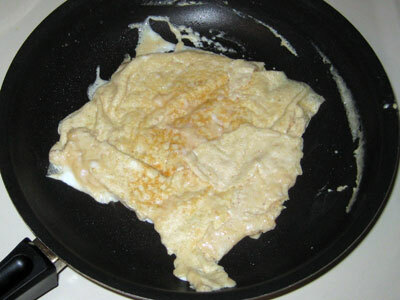 Usually I end up splattering egg whites on the stove and folding the crepe strangely. As long as it all gets cooked, I don’t really care. Pretty is overrated. When that crepe’s done, I take it out of the skillet and cook another. Then I have a tasty, peanut buttery breakfast. The kitties agree! They always lick the plate clean with their tongues, which helps cut down on the dishes I have to do. Sounds interesting, and this recipe is getting bookmarked for my round-up of South Beach Diet Phase One Recipes for October. BTW, am I allowed to get a bit motherly and say don’t waste money on the oatmeal packets. Just buy regular oatmeal (in a cylinder-shaped package) or even better, extra-thick rolled oats (in health foods section) and then add some water and salt (very important) and cook it in the microwave. I do it that way, then stir in peanut butter to make one of my favorite breakfasts. you can call them what you like, they look lovely! it makes me wonder what else i could add to a egg white mix that i haven’t thought of. to be either a pancake or a crepe they would need flour, and without, they’re more peanutbutter omelet with sugar. But you’re right, that doesn’t sound as appealing as crepe. I am mildly nauseous yet intrigued at the same time. You had me at “peanut butter”–if you mixed a handful of broken china pieces with a cup of driveway gravel into peanut butter I’d be tempted to spread it on crackers and risk the broken teeth and guaranteed intestinal surgery. But for the moment, you’ve reminded me of my favorite breakfast of chocolate peanut butter oatmeal (steel cut oats, water, pinch of salt, 2 heaping T of cocoa powder, splenda and 2 tsp of peanut butter plopped right on top of the piping hot concoction where it melts down over it in a river of peanut-buttery goodness. So how long did it take you for you to not want to put syrup all over them? @Kalyn – I’ve tried that before and it just doesn’t taste that good to me. Sorry! I’m sure it’s better for me though. You are so funny! :) I love your sense of humor! Love your site too. I’ll try the Crepes sometime! Sound yummy, thanks! Sounds yummy! I’m with you and the pretty thing. I don’t care if my food is pretty, I care if it tastes good. If I have spare egg yolks, I put them in the fridge covered with cling film and leave them for a few days. And THEN I throw them away – once they’ve got all hard and yucky. I know your way is better, but I was brought up after the war and, you know, one can’t throw away good food. pb crepes. this is an ingenious idea. i don’t cook with splenda, but i’ll have to try it with sugar some time … yums. Wouldn’t these be delicious with some jam on them? I haven’t tried the fake sugar jam yet, but I may. Or just get the all fruit kind and only use a little. Like a PBJ sandwich. I’m putting this one in my “to try” file in my recipe box. Thanks. Hope you’re back on track. We love and enjoy you no matter what. Ooooo. You’re right. Crepes is much more accurate. Do you know the calorie/fat content for this recipe by any chance? Hmmm…might have to try these with my kiddos. Think I could pass them off as pancakes? oooh sounds yummy, but I’m not a fan of cooking with splenda. Do you think applesauce might work instead? Hey! I had the same problem with creepies (lol, pet name for crepes) or omlettes too. But watching the wise and all knowing Alton Brown has taught me that if you make tears in the bottom while it’s cooking, letting more uncooked goop come into contact with the bottom of the pan, and do that *as much as possible* (like sort of scrambling gently without disturbing the edges) then you will be able to flip it and it will come out PERFECTLY. I do something similar with the quick oats, but I toss in fresh fruit (either blueberries, bananas, strawberries, or applesauce if I’m feeling lazy) and always add in some skim milk to make it creamier. Again, sure it’s not as healthy as your recipe, but I figure I’m losing the preservatives and whatnot and trying to be a little bit more natural. Heh. “Pretty is overrated.” True dat. I buy the egg whites in the carton. It’s more expensive than buying the whole egg and separating it, but it’s 1. easier, and 2. no guilt about waste. Peanut Butter & Eggs!?!?! I never would have thought of that in a million years. I usually make feista eggs with salsa and fresh veggies….well you have made me curious, I am going to try out this recipe over the weekend. Alright, crepes! Or, in my mother’s house, pancakes. She always used a long, narrow (metal) cake icing spreader instead of a square spatula to flip them, easing the long blade under the entire pancake, lifting up with it draped over in half, then gently laying it down, first one half, then turning the blade to roll out the rest of the pancake. Takes practice, sure. 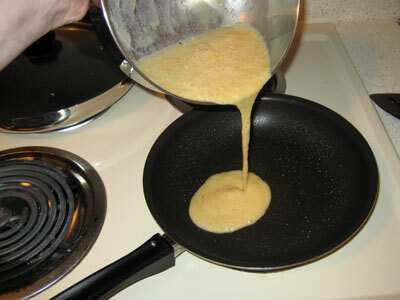 And the batter had to be spread thinly in the pan (lift the pan and swirl at first pour), with bubbles coming through the middle before flipping. 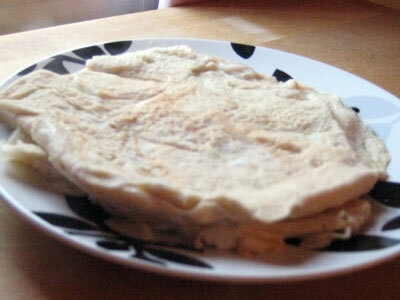 Though that was with a batter containing milk and flour, maybe different for egg whites-only? PastaQueen – these are awesome! I made a version of them yesterday for breakfast after I saw your post – 4 egg whites, 1 T of Almond Butter, splenda, topped with applesauce, raspberries, and honey. Yummo. Wish I’d had some whipped cream though. I will be making these a lot. These sound really good I’ll have to give them a try. I make an oatmeal pancake that is tasty too. Since I have a family of 5 I make a large batch but you could 1/2 or 1/4 it. When these are done I either eat them with sugar free syrup or I will use two and put peanut butter and all fruit in between. They are yummy and the kids like them too. Can I say yum!!!! I will have to try this! Looks so good. SBD Phase 1 approved right? I put my egg yolks in a ramekin, cook them in the microwave and put them in my dog’s dinner. She’s happy and I’m pleased to not waste food. :) Perhaps your kitties would also like yolks? YUMMY!!! I’m gonna try it tomorrow morning! I made up a concoction too! pumkin puree/ protein/ oatmeal/ frozen fruit, egg whites! Mix & Zap for 6 minutes and stay in heaven. Tried this recipe and it was very good and filling also good with sugar free jelly. My husband used them as bread and said it was great. Just a few other options for ya. I made these this morning and they were great! I had to think of them as “pancakes” though, and put some sf syrup on them. Definately better than the same old scrambled eggs every morning, and just as easy! 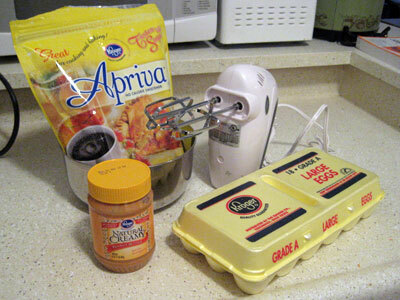 I also like the same recipe but with splenda and cinnamon, and instead of peanut butter some low fat cream cheese. recipe sounds great! I am going to have to try it. What about substituting the eggs for egg beaters? And subbing the peanut butter for the powdered peanut butter–reconsituted with water of course–PB2 is awesome. 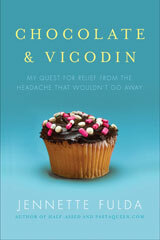 It is only 50 calories per two tablespoons vs 190 calories. 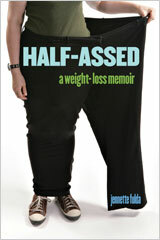 Just a thought to save some calories at fat–I am going to have to try this! Just wanted to say that I LOVE these!!! I just did a version with a cinnamon cream cheese filling.